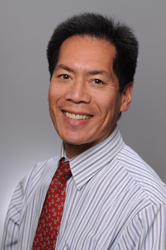 San Francisco Dentist, Dr. Anthony Ferrer has made the Bay Area his home for his entire life. Being a native San Franciscan, he attended the University of California, Berkeley receiving his bachelor's degree in Biophysics. He worked a few years before attending dental school at University of California, San Francisco where he earned his dental degree. Since the start of his dental career, he has been a member of the American Dental Association, the California Dental Association and the San Mateo Dental Society. He believes that education is life long process and takes numerous continuing dental education classes to enhance his skills and services to his patients. He feels that treating patients is a privilege and his plans for patient care must always be in the patient's best interest. Because he treats his patients as guests and friends, many have remained in his private practice for over twenty years. He believes in giving his best efforts in his work with his personal motto, "give to the world the best you have and the best will come back to you." While out of the office he enjoys spending time with family and friends in the Mid-Peninsula area.